Memphis Grizzlies forward Zach Randolph has been racking up double-doubles in Player Exclusive colorways of Nike's Air Max Hyped this season. Is Zach Randolph the most underappreciated player in the NBA? Dwight Howard - All-Star starter. Blake Griffin - Lock for Rookie of the Year and possibly and All-Star. Kevin Love - Lock for Most Improved Player and possible All-Star. Zach Randolph? Not a whole lot of praise being thrown in his direction, despite being one of four players in the NBA currently averaging 20 points and 13 rebounds a night. Sure he has a bit of a reputation that precedes him, but he's been relatively quiet in recent times and the numbers don't lie. With the Grizzlies currently being in playoff contention, Randolph's name should be coming up a lot more than it has for an All-Star spot. To crash the boards the way Z-Bo does, you need a big man's shoe that offers maximum protection upon impact. 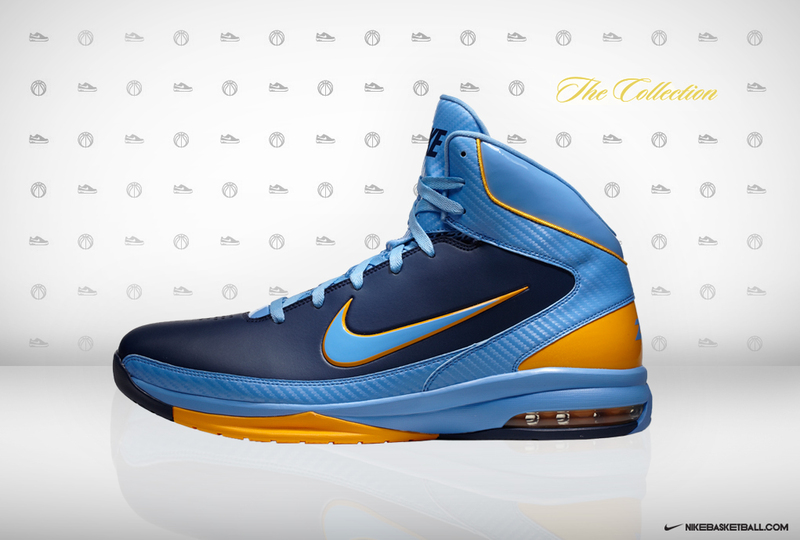 That's why Zach Randolph has spent this season wearing Player Exclusive colorways of the Air Max Hyped. 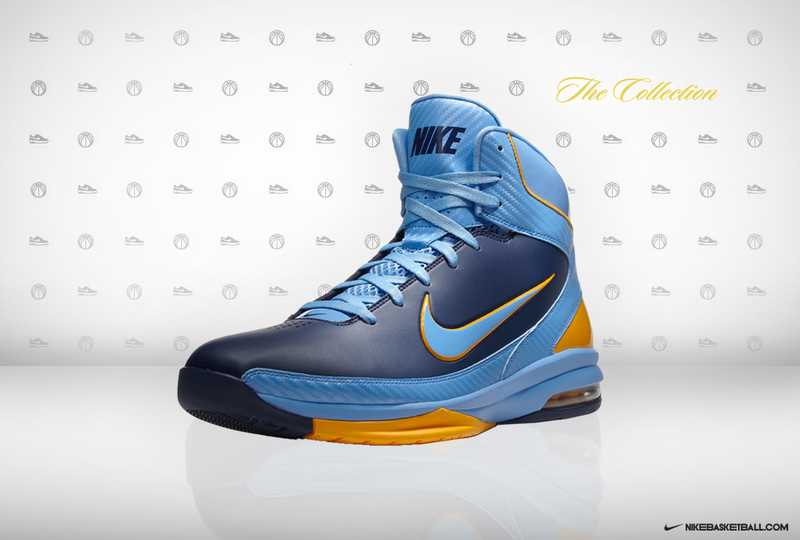 This particular pair, which can be seen in Memphis' road games, sports an obsidian and University Blue leather upper. 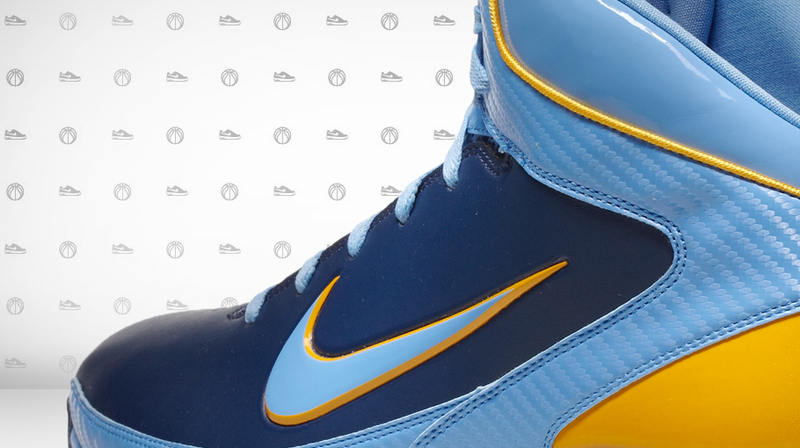 Maize takes care of additional detailing on the Swoosh border, heel, Max Air unit and outsole. 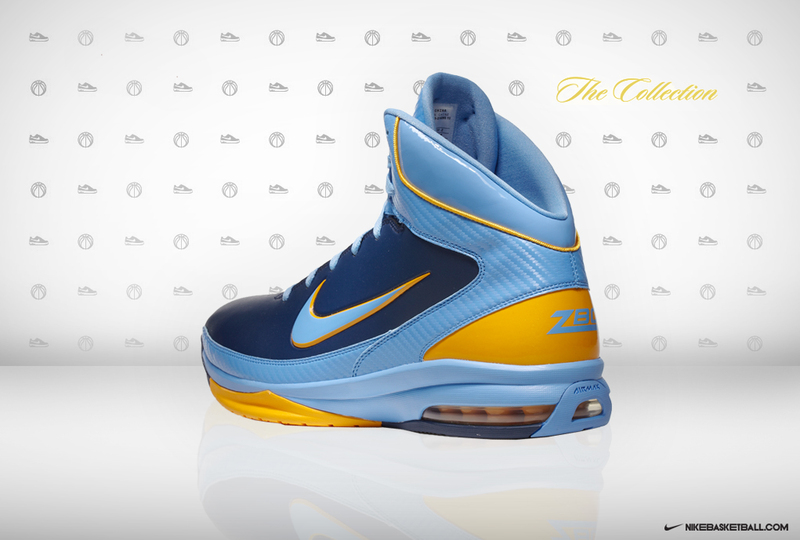 Zach's nickname "Z-Bo" appears on the heel counter in light blue.